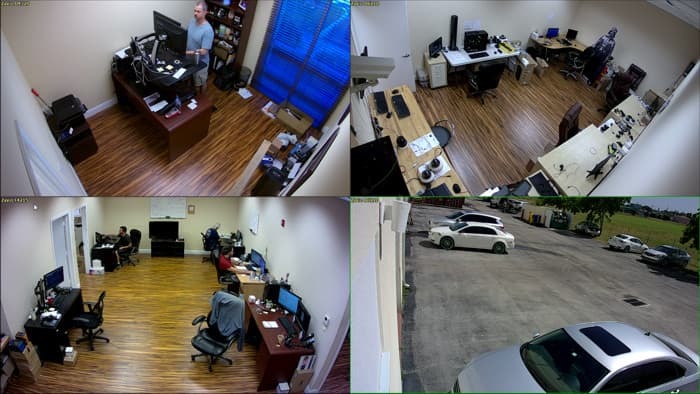 The SYSPRO-WIFI-ZAVIO4 Wireless Cameras System comes complete with (4) Zavio F4215 HD wireless IP cameras and an 8 channel Zavio NVR. 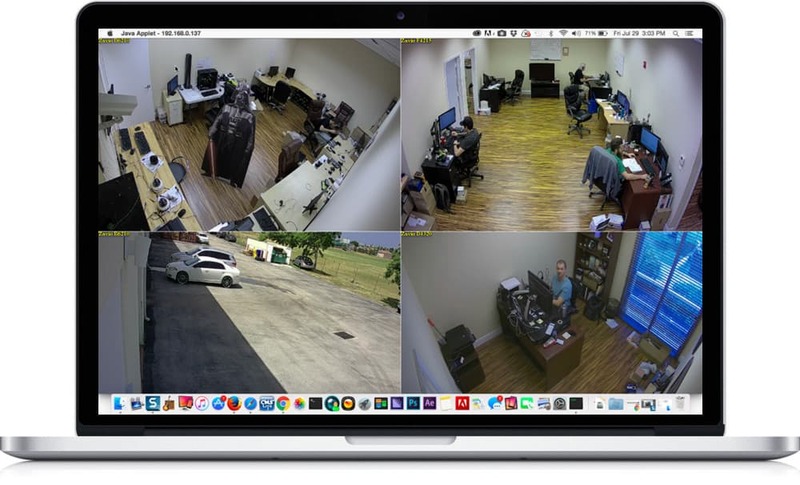 The Zavio F4215 cameras are capable of recording in 1080p resolution (1920 x 1080 / 2 megapixel) at a full 30 frames per second. 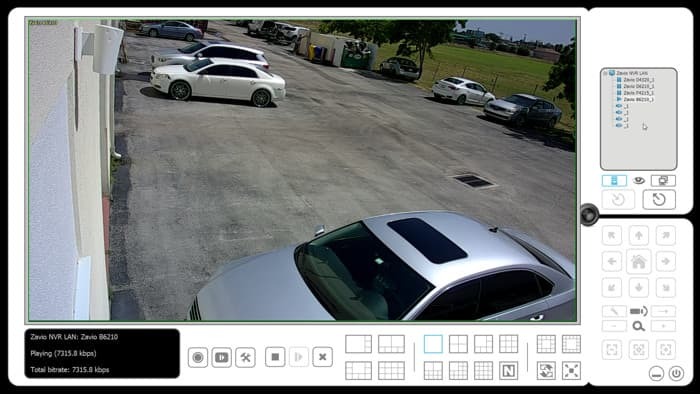 These security cameras have a fixed 3.6mm lens which provides a 90-degree horizontal field of view. 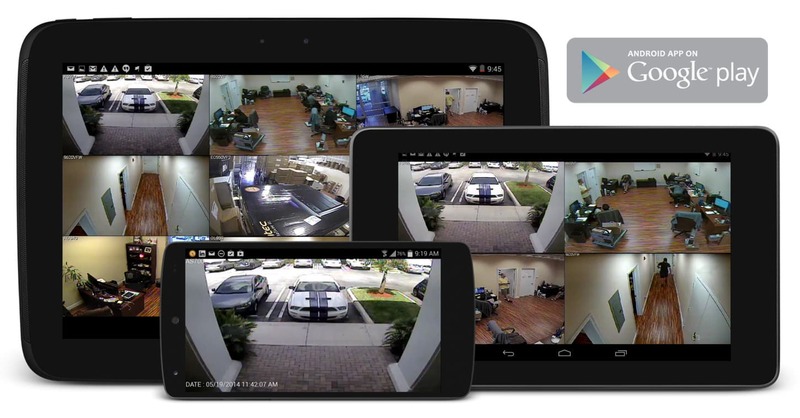 This system is an excellent choice for adding a wireless camera to an existing WIFI network at home or a business. 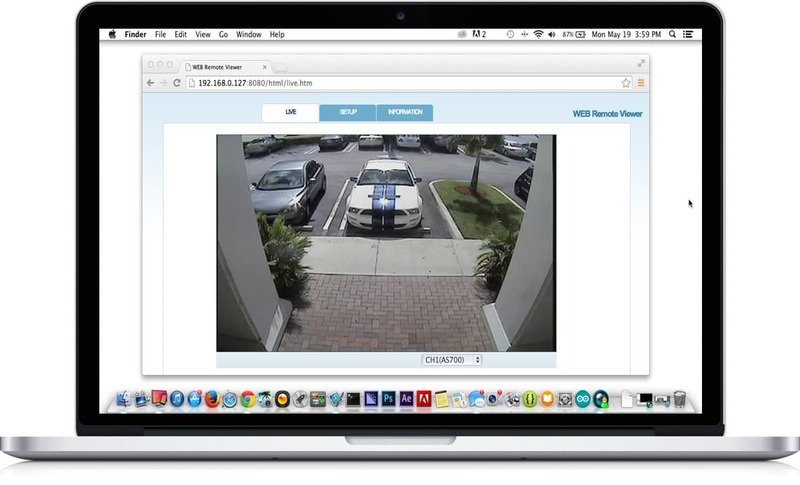 The Zavio F4215 is 802.11b/g/n compliant and will work with most modern wireless routers. 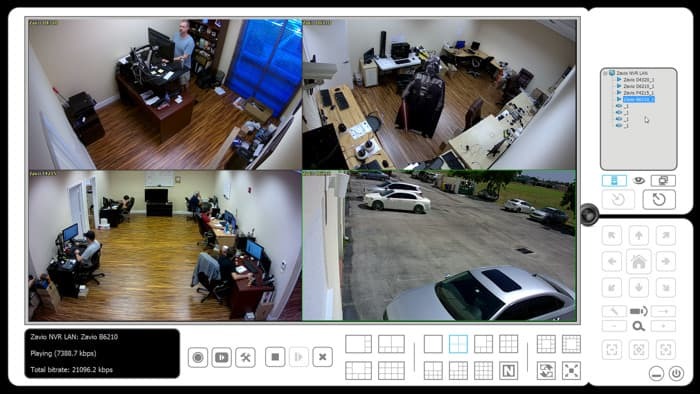 Please note that CCTV Camera Pros can supply wireless systems with any number of cameras, please request a quote and free consultation here. 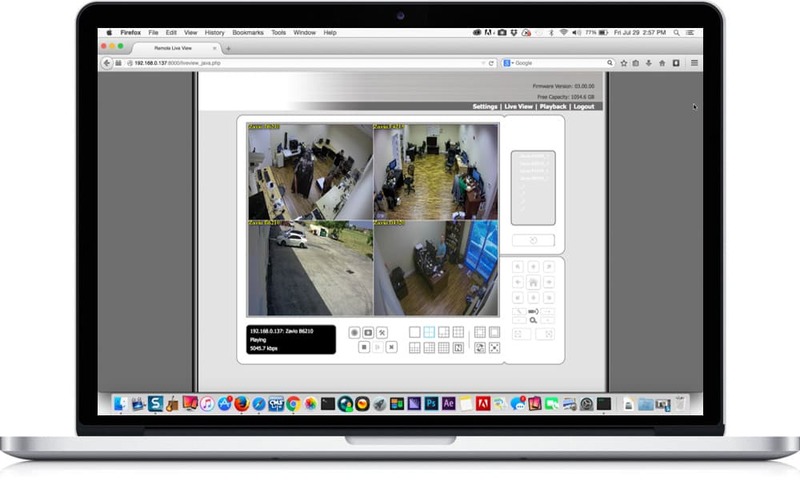 *PLEASE NOTE that "Wireless" refers to the video signal transmission of the cameras ONLY. The cameras must be connected to a power source (power supplies are included). 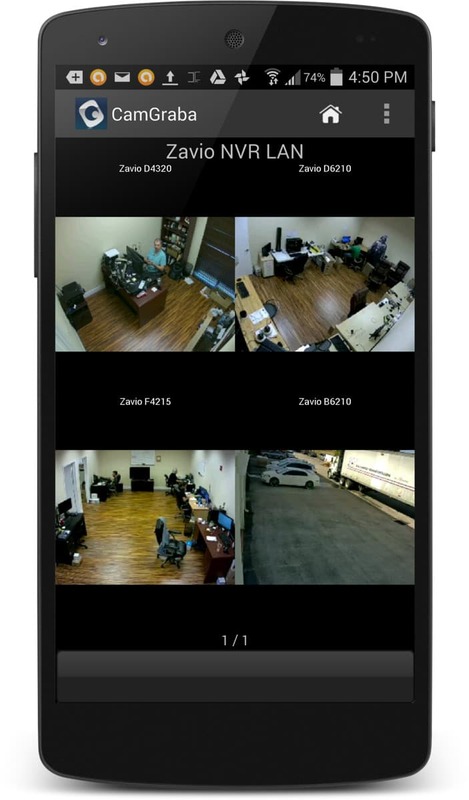 The iOS app that lets users remotely log in to Zavio NVRs. 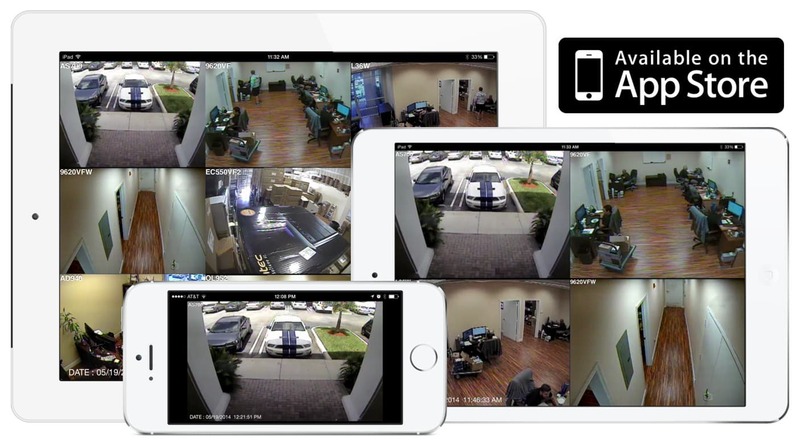 The iPhone app allows users to view their IP cameras live and also search and playback recorded video surveillance on the NVR. 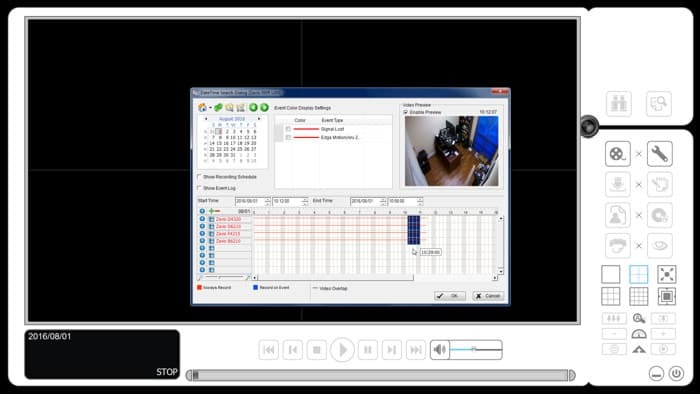 The software supports a full-screen view which removes the menu system / DVR controls. 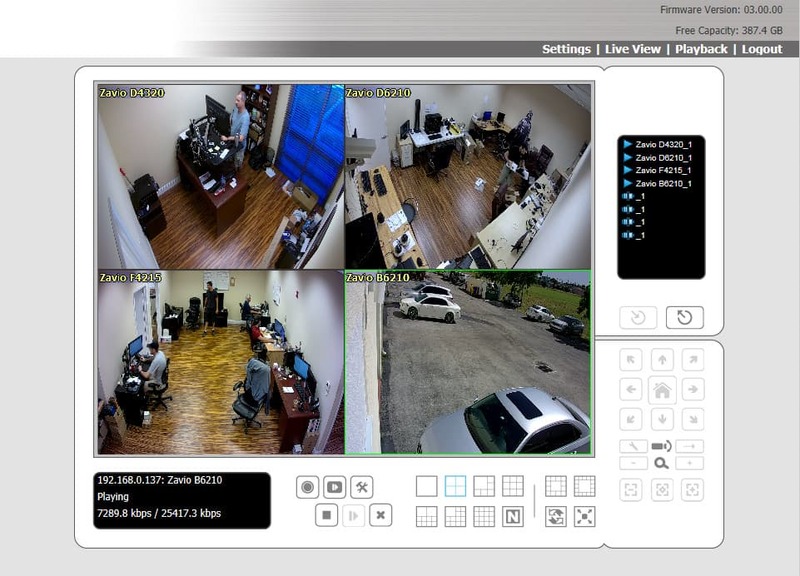 The surveillance cameras that are included with this system has the following features. Please visit the F4215 camera web page for more information. For customers that do not already have a wireless router, we offer the WIFI-AP3500 wireless access point. 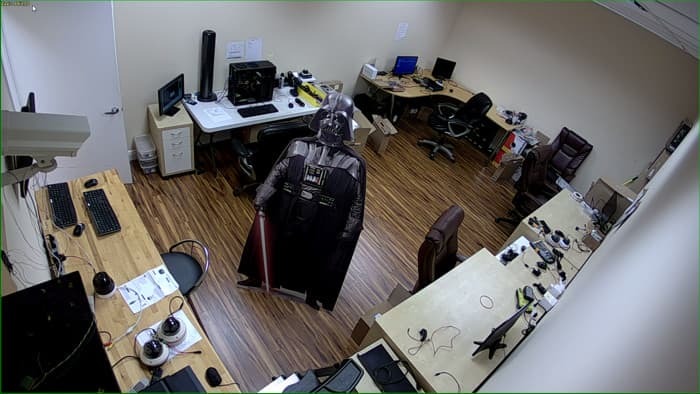 This unit can be programmed as a wireless router, repeater, access point (receiver) or client bridge (transmitter). The wireless signal from the WIFI-AP3500 is stronger than the average Linksys or D-Link wireless router and will increase the range and reliability of your wireless connectivity. 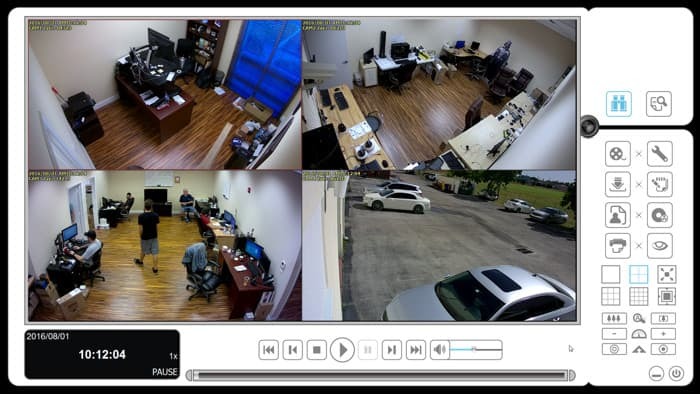 This gives our customers peace of mind that their wireless security cameras will have strong, uninterrupted video signal to the recording unit.